We are a Decile 6, Year 1-8 full primary school situated 20km south of Palmerston North on State Highway 57 with a roll that now builds to 120+ students. We have seen significant growth in the past two years, with our roll almost doubling. In late 2016 we opened a forth classroom, and at the beginning of 2018 opened a fifth. Managing our roll going forward, is one of our strategic priorities and our Enrolment Scheme was finalised on October 24th 2018. While Tokomaru School is at the northern end of the Horowhenua District, the majority of our families travel to Palmerston North for work and/or services. The school community is a mix of rural and village families. As a rural school, considerable reliance is placed on parent and community involvement. In kind, Tokomaru School has a zero “voluntary” donation policy. We ask for support from parents in other, non-monetary, ways. The school has strong links, and is reflective of its community; 67% European, 29% Maori, 2% Pacifica and 2% other ethnicities. We appreciate the ongoing support we get from members of our community, who help enhance the educational opportunities of our students. Our school community prides itself on the challenging and varied learning opportunities that exist for students of Tokomaru School. They experience quality opportunities across the entire curriculum; culturally, in the Arts and also in the sporting arena. We embrace opportunities outside of the school, such as the Rotary Speech Festival, Mathex, Kids’ Lit Quiz, EPro8 Science and Technology Challenge, ICAS International Tests, Horizons Riparian Planting and AgriKids to name a few. The school is well resourced with TV screens, ipads, and laptops in each class. Google Apps for Education (Google Classroom) is used to support student learning; an initiative reflective of the 21 Century learning concept. The educational App Seesaw, is used in every classroom to connect with families and share the learning journey of each child. Many classes also have an active Blog where you can see examples of Seesaw entries created by the children themselves. We use Facebook and our App ‘Skool Loop NZ’ to connect with the wider community on a daily basis. We are continually developing our Student Leadership Programme, which provides further opportunities for our Senior Year 7 & 8 students to shine. We have a Student Leadership Team, consisting of two Head Students, two Deputy Heads and at least four School Leaders. These leading students provide the staff and students with valuable support, ideas, and student voice (and are fantastic role models for the younger students). In 2018 we introduced House Leaders (to lead our three Houses; Rata, Kowhai and Tawa) as another way of including student voice in the decisions we make. The school provides a happy and safe environment for the children to thrive in. We have excellent grounds and facilities, including extensive fields, a tennis court, a swimming pool and two large playgrounds. We have a limestone running/bike track that borders our field, as well as a range of fitness stations that can be used by our students and the community all year round. Parents have high expectations and aspirations for their children and take a keen interest in their progress and achievements. The parents provide staff with valuable non-teaching assistance, in and out of the classroom. We value the contributions of our wider Tokomaru Community and the relationships we have fostered over time; this includes our close association with the Tokomaru Early Childhood Centre, who visit us fortnightly for Buddy Reading. 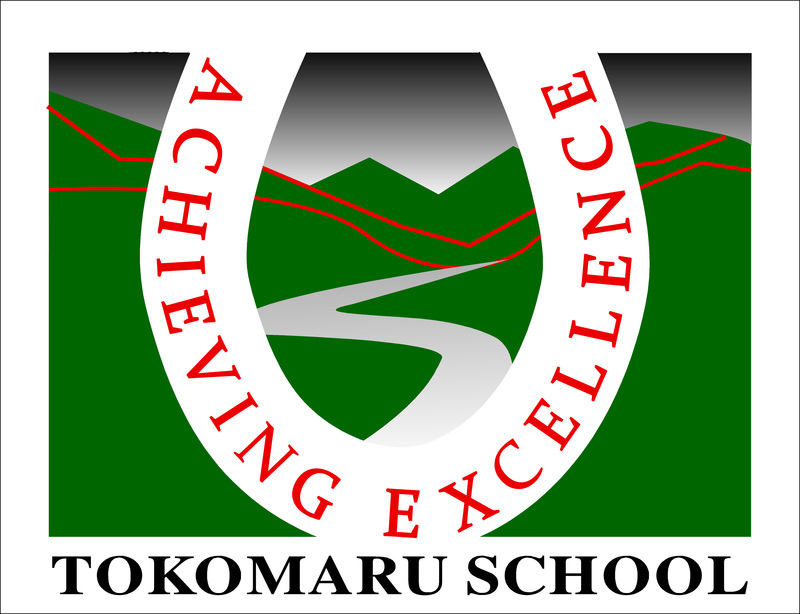 The dedicated Staff, Board of Trustees, Home and School Association, along with fantastic students and wider community, make Tokomaru School a great place to be. We encourage you to come for a visit!